This year’s Dickens of a Christmas celebration was full of holiday decorations, costumes, food, and just enough cold weather for a little snowfall to top off the Christmas cheer. It’s the time of year for thankfulness, joy, and giving, and we experienced each of these through the people we met while at Blood:Water’s booth during the event. 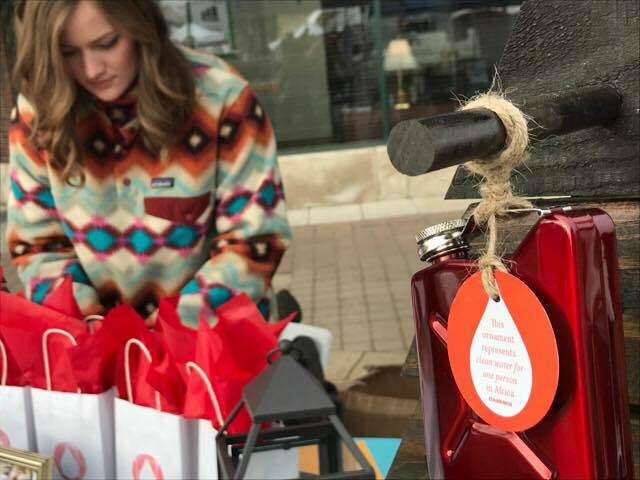 Generous donors showed what it means to give a truly meaningful gift, and we thanked them with jerry can ornaments as keepsakes to remind them of their life-changing gifts. It was inspiring to witness people’s excitement each time we explained that all it takes to provide clean water, sanitation, and hygiene for one person in Africa for life is $40. One donor visited our booth, left, then returned later to tell us that she found an item at another booth which cost $40, but instead of buying that item, she came back to donate to Blood:Water because she said, “This is where my $40 needs to go.” Time and time again, people showed us what it means to have a heart of giving, and by the end of the weekend, we raised enough money to provide clean water, sanitation, and hygiene for 40 people living in Africa.